Actor Xian Lim, Tough Mudder Philippines Brand Ambassador, got to experience Tough Mudder in Scotland just recently. In his Instagram account, Xian got to share his experience to his close to a million followers. Tough Mudder Scotland 2018, which was held at the Drumlanrig Castle & Estate in Thornhill, Scotland, served as the backdrop for the full course length of 10.6 miles, and 27 obstacles, which was enjoyed by 11,000 participants. 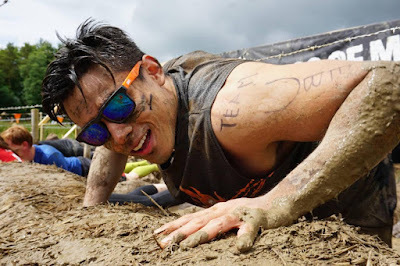 Xian Lim got to try obstacles such as Mud Mile, Devil’s Beard, Bale Bonds, Hero Walls, Skid Marked, Birth Canal, Sewer Rat, Kiss of Mud, Funky Monkey, Kong Infinity, among others. “Tough Mudder brings out something tribal and fantastic…it creates a community where people help each other out. And you don’t tend to see that out there in the real world sometimes,” ends James. For a quick overview, the event hub and start chute will be at Portofino Amore, Vista Land, located at Daang Hari Road, in Alabang. The course will take in parts of the recently enhanced bike trail along with the rolling hills and various varieties of mud in the adjacent farmland. Tough Mudder course designers have set about creating a challenging, creative and muddy course, combining elements of the natural surroundings and land shaping a few more for your muddy pleasure. The course is as challenging as it is picturesque. Registration is ongoing, for more information, please visit www.toughmudder.ph and FB/ToughMudderPhilippines. Proactive Sports Management is a sports events company that started in 2012, in Manila. We organize the biggest running events (fun runs, trail runs, obstacle races, marathons) in the Philippines. Our goal is to create sports events that will leave good memories to our participants and the spectators. We make sure that every event is technically sound without ignoring the fun-factory in every race. We hope to inspire our participants to in every way possible and help reach their goal and for our spectators to be a road-warrior someday.